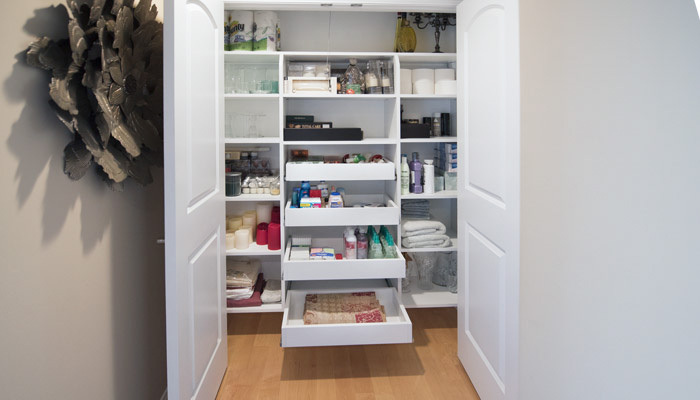 This custom reach-in closet, located at the end of the hallway, serves many purposes for organization in the home. 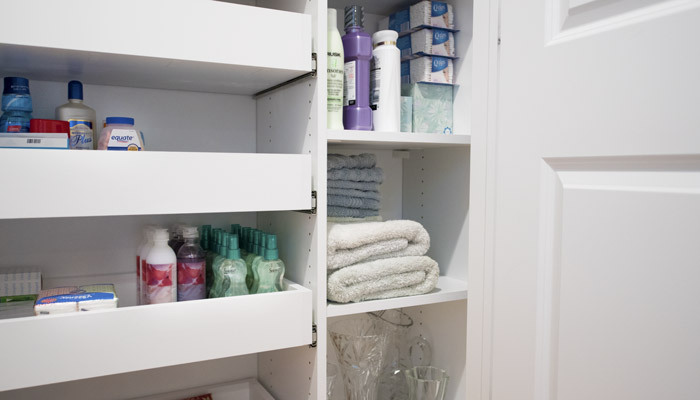 This storage solution, located in a hallway between the bedroom and bathrooms, is designed to handle everything from linen and toiletries to general home decor such as candles and flower vases. 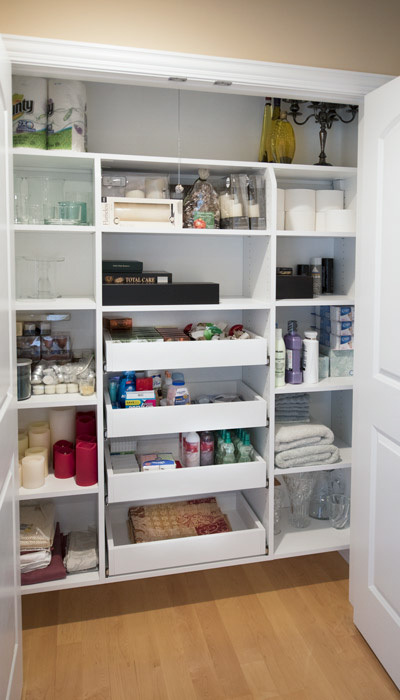 Conveniently located between all the bedrooms and bathrooms, this closet provides a central location for medicine, soap, shaving products, and more. 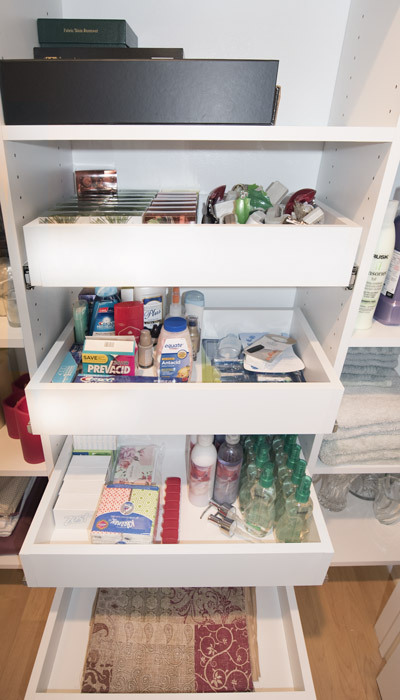 Pull-out shelves ensure that small bottles or medicines don't get lost in the back and expire. 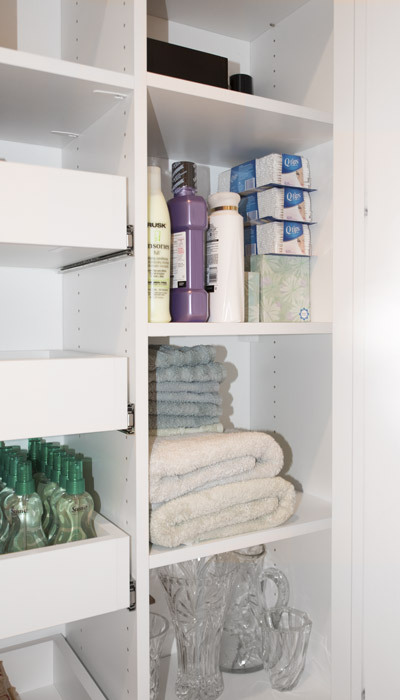 An even number of spacious shelves on either side of the pull-outs offer separate sections to organize household belongings — linens and bedroom accessories can be placed on one side, towels and bathroom essentials on the other. This unit is perfect for storing a medley of items, keeping them handy without cluttering up the home.